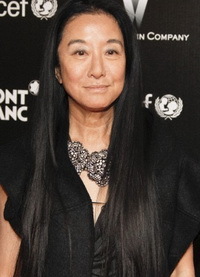 Vera Wang has promised a romantic and unique design lines that became his trademark for David's Bridal. The designer is known for 61 years with the beautiful dresses that had wrapped the body beautiful celebrities on board, such as Victoria Beckham and Alicia Keys as they establish a marriage. And that the design of lines that will be offered for David's Bridal that was specially made to order customers. Vera said he would draw up a romantic and sensual, but still looks fresh and unique. For the collection was 12, David Bridal membandrolnya with prices between $ 600-USD1.400. Representatives from the David's Bridal expressed his joy for the opportunity to work with the Queen's Bridal. "Vera is someone who is attractive, smart, and really understand their customers, " said a crew member of David's Bridal, as reported by First Female, Wednesday (02/23/2011). Robeth Huth, President and Chief Executive David's Bridal, Vera said was identical to the bride. How many stars and famous people who later became his client. No wonder, our customers are generally women are very excited to hear this news. "My God, I will do everything to have a Vera Wang dress to do," they said. The reason is that what makes menggandengnya David Bridal. "She was the queen for us. Therefore, the presence of Vera will provide more value to our loyal customers, " says Robert. Those interested can get all the collection of size zero to 30 in David's Bridal across the United States.